With September Shtandart will start her way to the place of winter station and this year it is the famous fortress La-Rochelle which is going to be our main goal for the autumn voyages. And the first sail is Amsterdam-Copenhagen - classic route for mariners, who have been aspiring for hundred of years from northern Europe to south and west - Africa, America and Mediterranean. 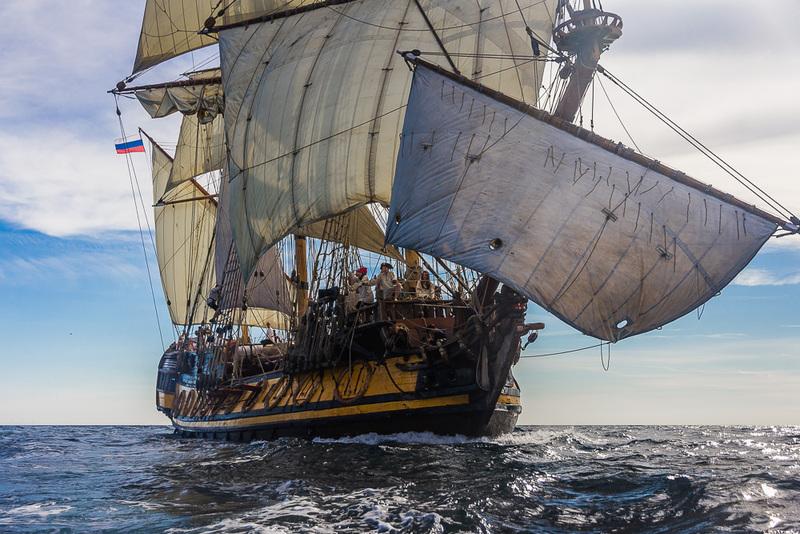 Shtandart is catching up her comrades and brings to her crew real marine experience and taste of adventure. We will pass 1000 nautical miles, find ourselves in shore of unknown lands, break through different weather conditions, rains and storms, master the seas, straits, narrow channels to get finally warmed by the summerish southern sun. After rich summer season Shtandart will welcome on board new sailors ready for long distance voyages. 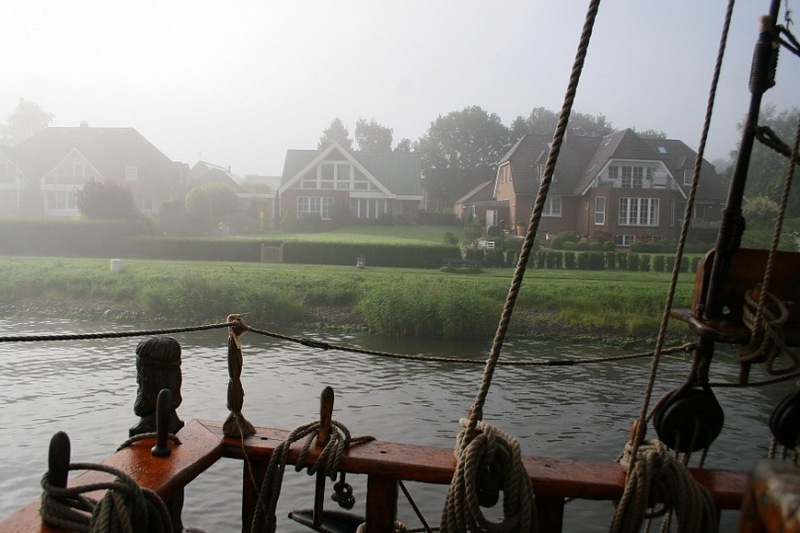 We are going to pass along Dutch straits to the Germain shores, follow the Kiel Canal and find out how it was built, admire hundred kilometers of beautiful Northern Germain endless fields, grazing cows from afar and cozy village houses. Hereafter Shtandart will meet the island Heligoland, ‘Northern Tortuga’, which before was a powerful base of submarines. Local red cliffs and birds colonies will attract attention of nature lovers. In the next part of the journey we are going to enter the wide spaces of Northern Sea and get to the low land of the Netherlands. Depending on the weather we will decide if continuing the trip by sea or hide from the rough nature power and pass through by channels and gates, resting from harsh autumn waves. And the crew will have great chance to learn how to navigate in the tidewater streams of that region. It is possible to join the voyage on the Heligoland island and leave from there as well. We are going for it, and you?